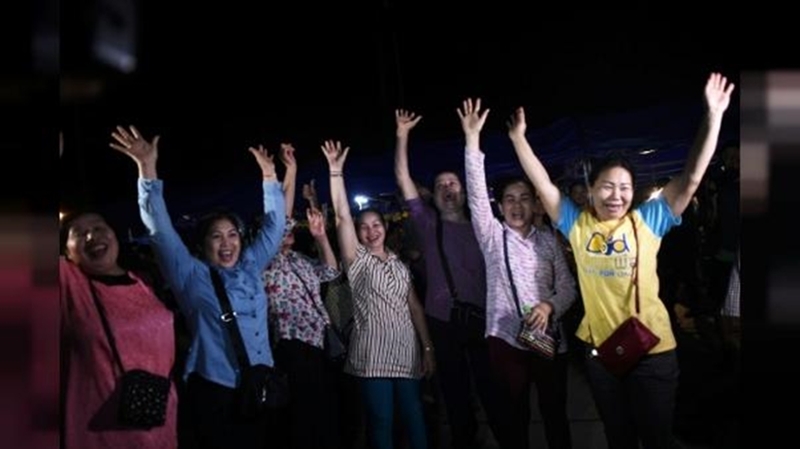 CHIANG RAI: All 13 people rescued from Tham Luang cave were in good condition with some still receiving medication for lung infections, the Public Health Ministry announced today (July 11). Dr Thongchai Lertwilairatanapong, inspector-general of the ministry, said the first group of four people, aged 14-16, who arrived at Chiangrai Prachanukroh Hospital on Sunday (July 8) were eating normal food, with no sign of a fever. Those who were diagnosed with a lung infection or had infected wounds were recovering well. All were able to walk to the toilets. The second group of four, aged 12-14, who were admitted to the hospital on Monday (July 9), were also in good condition and no one was infected with any dangerous disease. Their white blood cell counts were high and so they were given medication to control possible diseases. They had soft food this morning and would have normal food in the evening, Dr Thongchai said. Families of both groups were allowed to visit them in their patient rooms but were required to wear protective clothing and remain at least two metres away to prevent disease transmission. The third group, comprising five people aged 11-25, who arrived at the hospital yesterday (July 10) did not have low body temperatures. Their vital signs, including blood pressure, were normal. One of them had a slight lung infection. They received intravenous treatment, vaccines, antibiotics and vitamins. They had yet to undergo vision, nutritional and mental assessment. Doctors were awaiting the results of laboratory tests for possible viral infection. Tests on the first two groups rescued found no infection with any dangerous disease, the health inspector-general said. “Overall the 13 people are in very good condition,” Dr Thongchai said. The field hospital at Tham Luang would continue its services for two more days, treating people who were involved in the rescue, mostly for body pains and fevers, he said.